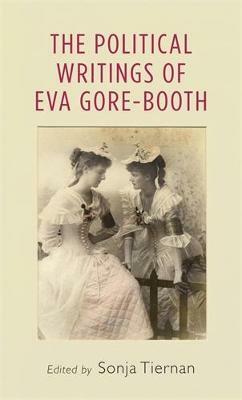 The political writings of Eva Gore-Booth brings together a fascinating array of material from this important Irish author and political activist. The volume includes a selection of letters, political pamphlets, newspaper articles and poetry relating to key aspects of Irish and British events of the early twentieth century; events which are now entering centenary commemorations. The volume is presented in three sections focusing on women's suffrage and women's trade unionism, pacifism and conscientious objection during the First World War, and Irish nationalism before independence. Many of these writings are out of print and difficult to source, and this volume offers a valuable research and teaching resource. 'Sonja Tiernan, author of the first biography of Eva Gore-Booth, has now produced an excellent edition of her political writings. After meticulous historical research, she has assembled a series of fascinating pieces that demonstrate how Gore-Booth was able to combine her radical concern for equal pay for working women with the demand for suffrage, the quest for peace, and support for Irish Independence. Gore-Booth's complexity, political nuance and clarity of mind are on display in this indispensable compilation.' Professor Elizabeth Cullingford, The University of Texas at Austin 'Here for the first time, the reader can see in full Eva's articles and poetry on women's suffrage, trade unions and women's right to work campaigns. These will be a valuable resource for teaching and studying women's history.' Jill Liddington, Honorary Research Fellow at the University of Leeds 'This is an invaluable book for anyone interested in the fights for people's rights in the early twentieth century. The worker, the pacifist and the rebel are all portrayed sympathetically and with an easy, very readable style that still engages the reader a century later.' Christine Clayton , North West Labour History, No 41, 2016-17 -- .